Dr. Donovan Kreutzer was born and raised in a town south of Johannesburg, South Africa. He received his medical training at the University of Pretoria and moved back to his hometown in Vereeniging to complete his final internship year. Donovan was one of the first South African trained doctors to do a community service year in South Africa. This was an extremely enjoyable year as he was sent to a remote outpost near the Kruger National Park in South Africa. After completing this community service year, he stayed on for a further six months in the area and then decided to travel elsewhere. Donovan moved to Canada in 2001 to pursue a passion of fly fishing. He had heard about a job posting in Outlook, Saskatchewan, through a recruitment agency and decided this would be a perfect opportunity to balance fly fishing and his career. After working in Outlook for six weeks, he had made the decision to stay. Donovan spent three years in Outlook Saskatchewan, where he met his wife, Tara. The couple moved to Calgary in 2004 and have been living happily here ever since. Donovan’s hobbies include fly fishing, photography and snowboarding. He also enjoys spending time with his family and his two young daughters. Within our clinic, he strives to collaborate many different spheres of medicine and accessory services and in doing so, provide comprehensive health and preventative care to our patients. Dr. Supriya Goyal obtained her medical degree back home in India, where she specialized in the field of Obstetrics and Gynecology. In 1999, Supriya made the move to Canada, first arriving in Ottawa, Ontario. After completing her residency in 2006, she moved to Calgary with her young family to work as a family physician. 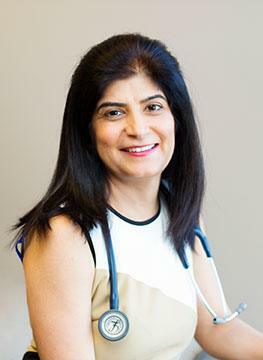 Dr. Goyal’s love of family and friends initially motivated her career in the medical field. 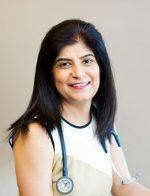 Supriya’s passion for her job, combined with her empathetic nature and keen interest in women’s health (reproductive and menopausal health in particular), allows her to continually improve the wellbeing of all her patients. Despite having years of experience in the medical world, Dr. Goyal strives to learn and expand her knowledge in order to provide the utmost care for her patients. In her spare time, she enjoys creative pursuits such as painting and sketching as well as spending time with her family. Louis is a family physician relocating to Calgary in Sept 2017. Louis graduated from the university of the Free State South Africa in 1999 and moved to Canada in January 2002 to practice Medicine. 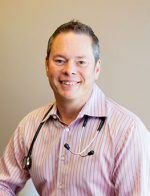 For the past 15 years Louis has been practicing in a very diverse family practice in Bonnyville, Alberta. Louis specializes in Chronic Care, Geriatric ad Palliative Care Practice, and has been an active participant in Emergency Style Medicine, Surgical assisting as well as working as a Hospitalist. Louis has a very kind and caring nature and loves helping people. Louis is excited to start at Provital and bring his expertise and diversity to the clinic to help the needs of our patients. Marné was born in South Africa and graduated from the university of Free State in 1999. She moved to Canada with her husband Louis Coetzee in January 2002. 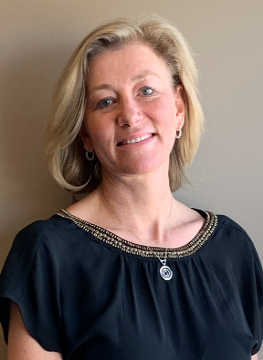 She has been working for the past 15 years alongside Louis in Bonnyville, Alberta, serving the community in a number of different areas, Including Family Practice, Women’s Health clinics, Emergency room coverage, Minor surgery-Lumps and Bumps clinics, and Administering Chemotherapy through the community Oncology clinics. She also specializes in helping a number of patients with Chronic headaches and migraines in the form of Botox Therapy. Marné is excited about her move to Calgary and is looking forward to helping our Provital patients with their medical needs. She has a diverse skill set and a true passion for helping people. 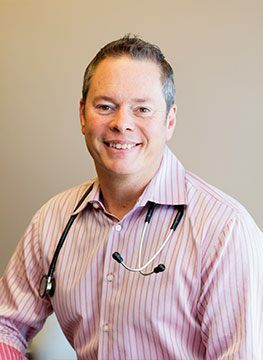 John Kilfoil is a family physician newly relocated to Calgary in 2017. He has spent the last 14 years practicing family medicine at a successful clinic in Cranbrook, BC, He moved his family to Calgary in 2017 as there were better opportunities here for his boys and their passion for Sports. John graduated from the University of Witwatersrand in Johannesburg, South Africa in 1997 with a Bachelor’s Degree in Medicine and Surgery. He also completed a Diploma of Anaesthesia in 2004, in South Africa. John has a variety of experience in the medical field from emergency departments, general surgery to urology. 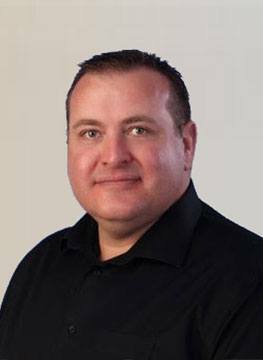 He has also been involved in the East Kootenay’s Divisions of Family Practice Executive Board for over three years, holding positions as treasurer and board member. John believes in taking a very preventative approach to healthcare and is excited to work alongside other practitioners in Provital’ s collaborative environment. Outside of the medical field, John enjoys spending time with his wife and three children. His busy life is filled with attending his kids’ extra-curricular activities, like hockey and soccer. He spends most of his downtime in the outdoors; mountain biking, playing golf and skiing. 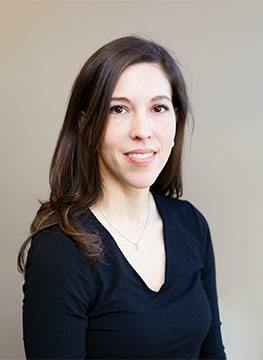 Kathryn Wentworth is an Aesthetic Physician, specializing in cosmetic and medical procedures. An Honors with Distinction graduate, from the University of Cape Town in 1999, she completed a Bachelors Degree of Medicine and Surgery. Dr. Wentworth has worked previously as a family physician, specializing in Women’s Health, and a variety of other settings. With a passion for aesthetic health, Kathryn decided to focus much of her practice on cosmetic, and medical dermatology treatments. 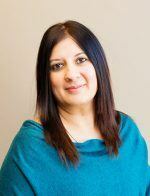 She has worked for the last 12 years in Cranbrook, BC, owning her own family practice, and skin clinic. 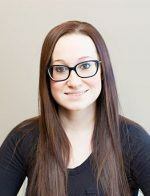 Having recently moved to Calgary, Kathryn is eager to begin offering her services to Provital patients. Dr. Wentworth is an advanced injector using natural products and treatments to fight aging and promote beautification. Outside of work, she spends the majority of her time with her family; her two sons, and young daughter keep her on her toes! Dr. Liane Erickson has been practicing Naturopathic medicine since 2001. Her medical work has taken her around the world, practicing and learning in countries including Ecuador, Nepal, Peru, Mexico and Thailand. She has lived and practiced in the Yukon, Alaska, Mexico and, since 2011, Calgary. Living in the North gave her the experience of flying into remote communities to provide healthcare to many under serviced populations. 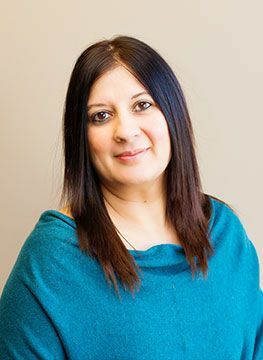 Since settling in Calgary, Dr. Liane has welcomed families into her practice with a special focus on reproductive health, hormones (both male and female) including thyroid health, and pediatric care. She offers well-child exams from birth to adolescence and provides acute care in all areas of pediatric and adult medicine. She sees both men and women looking to optimize their nutrition, energy, focus, digestion and immune systems. Her advanced training in intravenous vitamin therapy and environmental medicine is used with all ages of patients- from women looking for fertility and preconception care to the busy CEO looking for a boost after a long flight or taxing work week. IV therapy can be used for athletic performance, improving immune function, anti-aging and detoxification of heavy metals in the body. Dr. Liane and the nursing team at Provital offer a safe and comfortable IV experience to move you further towards your healthcare goals. 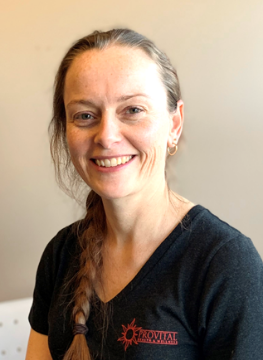 Since 1998, Dr. Helena Horsky has been practicing Chiropractic care in Calgary in a family and sports-based practice. A born and raised Calgarian, Helena completed undergraduate studies at the University of Calgary with a Bachelor of Science in Psychology, followed by a Bachelor of Science in Biology from Parker University. Helena attained her Doctorate of Chiropractic from Parker University in Dallas, Texas. Dr. Horsky was a National level Figure Skater and maintains her involvement in sports through her love of golf, tennis, skiing and exercise. The love of sport, the desire for maintaining optimum health and the passion for helping people led her to becoming a Chiropractor. Helena continues to educate herself focusing on new developments, techniques and research in the field of Chiropractic, using this knowledge to help improve the well-being of her patients. Helena is extremely passionate about well-rounded treatment regimens and vitality for her patients. 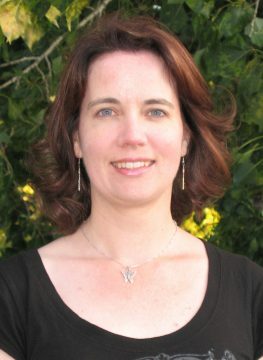 Her treatment approach focuses on evidence-based, individualized treatment plans that include a variety of techniques. 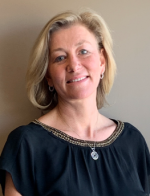 Helena is proud to be a member of the team at Provital Health and Wellness and looks forward to the opportunity in providing a multi-disciplinary and collaborative approach for her patients’ overall well-being. • Chiropractic: Diversified, Activator, Thompson, Gonstead, and spinal manipulation therapy (SMT) are just some of the techniques Dr. Horsky uses in her practice. • Active Release Technique (ART): Movement-based technique to treat tendons, ligaments, fascia and nerves. Often used for headaches, carpal tunnel, shin splints and other conditions. • Instrument-assisted Soft Tissue Mobilization (IASTM): Production of collagen is stimulated by triggering the inflammatory healing response over areas of abnormality, or restriction. • Dynamic Neuromuscular Stabilization (DNS): Functional tools assess and activate the intrinsic spinal stabilizers to optimize movement, performance and rehabilitation. DNS is shown to be highly effective for both injury prevention and treating overuse injuries. • KT Taping: Faster healing time stimulated by improved blood flow, lymphatic drainage and support to the injured area. KT Taping can provide pain relief without restricting range of motion before, during and/or after activity, for a variety of injuries. • Exercise Rehabilitation: Appropriate at-home exercises, stretches and rolling techniques are given to an individual after assessment and diagnosis. Goals and routines will be discussed in order to reduce the risk of future injuries and promote continued healing. Mackenzie was raised in Sylvan Lake, where she grew up on the water, boating, surfing and enjoying the sand. She moved to Calgary in 2011 to pursue bigger opportunities and experience the city lifestyle. She ended up enjoying the city life so much that she stayed! She has been working with Provital Health & Wellness since 2012. 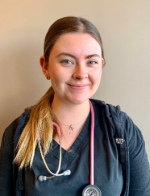 Creating strong therapeutic relationships, caring of patients’ wellbeing and compassion towards the medical field, lead her to completing her nursing degree at Bow Valley College in 2015. 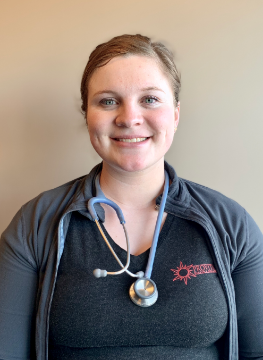 Now being a Nurse at Provital, she thoroughly enjoys her time spent caring for our variety of patients and creating positive lifestyle outcomes. Out of her nurse’s uniform, Mackenzie enjoys visiting her family, hot yoga, being on the water and visiting the ocean, whenever she gets the opportunity. She often returns to Sylvan Lake to enjoy the atmosphere in which she grew up. Lindsay is a Licensed Practical Nurse, having graduated from Bow Valley College in April 2016. She is not a stranger to post-secondary education as she explored her options through general studies at Mount Royal University and the University of Saskatchewan. Lindsay decided to become a nurse because of the impact she is able to make on the lives of those she encounters. She enjoys working in a community setting because she gets to see some of the same patients on a regular basis. In her spare time, Lindsay loves spending time outdoors! Her and her partner often take their Goldendoodle “Piper” out to Canmore or Banff to enjoy all that the mountains have to offer. Lindsay also enjoys staying fit by attending fitness classes, spin class being her favorite! Janelle was born in Vancouver, BC and completed her high school education in China. 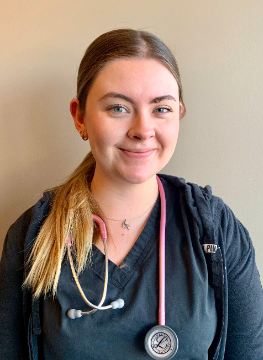 Attending Norquest College in Edmonton, after one year of open studies at the University of British Columbia, Janelle’s inspiration for a career in Nursing was influenced by a family full of nurses, and the love of helping others. Graduating as a Licensed Practical Nurse in 2016, she went on to work at the University of Alberta hospital in Edmonton. After moving to Calgary, Janelle decided she wanted to develop therapeutic relationships with patients, and play a more influential role in people’s lives, leading her to Provital. During her free time, she enjoys hiking, spending time with family and friends, and reading. Being closer to the mountains enables more hiking opportunities, which Janelle cherishes. She also loves to travel, having visited countries in Asia, Europe and Australia. Born in England, Trudy moved to Australia with her family as a child, though she has recently become a permanent resident of Canada and now calls Calgary home. Trudy was highly competitive during her youth, participating in a variety of sports including field hockey, surf life saving, as well as karate and soccer at a national level. Studying at the School of Sport Science, Exercise and Health at The University of Western Australia, Trudy completed her Bachelor degree in 1997 before going on to complete a Postgraduate Diploma of Science in Exercise Rehabilitation and then her Masters Degree. Her career progressed from junior sport instruction to becoming a gym trainer and manager, and later an Exercise Physiologist providing exercise rehabilitation to worker’s compensation clientele. Trudy went on to spend over nine years working in remote Western Australia as both a health and wellness consultant and an injury management advisor for a leading worldwide natural resource company. Trudy continues to enjoy her karate training and international travel, but now also likes hiking and snow-shoeing in the mountains. Born and raised in Vereeniging, South Africa, Brandon has always had a strong passion for athletics and physical fitness. Competing in tennis, squash and track and field throughout his life, he has continued to maintain an active lifestyle. Graduating from the University of Pretoria in 2001, Brandon received Honours in a Bachelor of Bio Kinetics. Avid not only about helping others improve their physical fitness, Brandon devotes much of his time in the gym maintaining his own physical strength and endurance. When his mind is not focused on fitness, he enjoys spending time with his family (including three hairless cats) and exploring his passion for helicopters. Justin was born and raised in Hearst, Ontario, growing up an active child. Justin is a Certified Personal Trainer under the Canadian Society for Exercise Physiology (CSEP), and Certified “PWR! (Parkinson Wellness Recovery) Moves” Instructor. Justin has been specializing in the treatment of Parkinson’s Disease, and related disorders for the past 3 years. 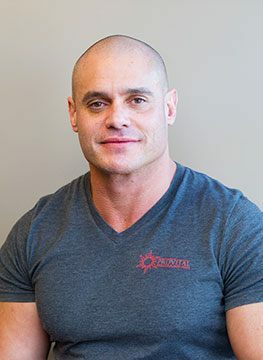 His goal in the community is to improve clients’ quality of life through exercise, aiding in pain management, mobility, functional movements, and the wide range of symptoms they experience. Justin is very active with resistance, sport specific, and high-intensity aerobic training, and has been an athlete for most of his life. Mary Block is a Registered Dietitian with a passion for food and health. This passion began early on and has continued to flourish throughout her education and career. Mary completed her Nutrition degree at the University of Alberta, graduating with distinction. Mary then went on to complete her Dietetic internship in Calgary, Edmonton and rural Alberta. Throughout that time, she was able to work in a variety of settings and developed a passion for the areas of diabetes, gastrointestinal health and cancer care. Using her expertise in nutrition, Mary works with patients to create meal plans that improve overall health, and target an individual’s wellness goals. Mary also uses preventative knowledge to implement proper nutrition regimens for ALL patients; meaning you do not have to wait for a problem to arise before booking an appointment. Whether you are looking for guidance with weight-loss, food allergies/sensitivities, high cholesterol, or simply just looking for new healthy recipes, Mary is here to help! Living with diabetes herself, Mary understands the importance of a quality, multi-disciplinary team, and the impact it can have on an individual’s health. Mary spends her free time baking, reading, kayaking and snowboarding. She loves experimenting with new recipes and altering old recipes to optimize their nutrition without compromising their taste. She has a passion for exploring the world and is always planning her next adventure. Kristen was born and raised in the small town of Belle River, Ontario. There she completed her 2200-hour Massage Therapy Diploma at the Canadian College of Health Sciences & Technology in 2008. Kristen decided to make the move to Calgary in 2009, to start a new chapter in her life. She joined the Massage Therapists Association of Alberta and began working in spas, before moving on to a Sports Clinic. After working in an athletic-focused world, Kristen transitioned to Provital, eager to join a collaborative, wellness environment. Kristen likes to stay healthy by working out, attending spin class and playing with her dog, Copper. When she has time to relax, Kristen enjoys spending time out on the water; fishing and boating. In her spare time, Kristen finds herself volunteering for a variety of organizations including the Canadian Cancer Society. Brooke is originally from London, Ontario and moved to Calgary in 2003 in hopes of pursuing new adventures with her husband. Prior to her career in massage therapy she was a nursing attendant and all together has gained 15 years in the healthcare field. Brooke graduated in 2005 from the massage therapy program at Foothills College in Calgary and became a member of the Natural Health Practitioners of Canada. Owning her own massage therapy business at a senior wellness centre, Brooke has gained experience with clients of all ages. She is educated in a wide range of sports injuries and proficient in treating Motor Vehicle Accident injuries. During her time off Brooke enjoys traveling, hiking, crafts, photography, and spending time with her family and friends. Nuala was born and raised here in Calgary. Playing soccer and tennis growing up, Nuala has always pursued an active lifestyle. An unfortunate knee injury from soccer led to months of recovery for Nuala as a young adult and led to her passion in the healthcare industry. Nuala completed her 3000-hour Registered Massage Therapist Certificate with Makami College and is registered with CRMTA. Nuala is also a 200-hour certified Yoga Instructor, showing diversity in her skillset! Nuala’s passion for natural wellness has driven her in her career path as well as everyday life. When she is not working Nuala enjoys practicing yoga herself, reading, crafts, essential oils and playing with her cat, Myles. Born and raised in Saskatoon, Saskatchewan, Juliana is no stranger to the prairies. Right after high school, Juliana made the decision to attend the Professional Institute of Massage Therapy where she graduated from in 2010. Juliana is a 2200-hour Registered Massage Therapist and a member of RMTA. She has been practicing massage therapy for 7 years now and enjoys all the new relationships she has created in the industry. Juliana has worked with clients of all ages, from athletic children to older adults. In 2016, Juliana married her best friend Joel and spends most of her free time with her husband, their son, Parker, and their 2 dogs, Ellie and Dozer. With time off, Juliana finds enjoyment in gardening, cooking and hiking with her family. As much of her and Joel’s families live in British Columbia or Saskatchewan, she finds herself travelling Western Canada quite frequently, which she loves. Miki Burton is a born and raised Calgarian who has always explored different ways to be competitive and stay fit, like: swimming, biathlons, working out and 5K “fun runs”. As a wife and mom to 2 young boys, she keeps busy cycling, playing soccer, building Lego and camping. Miki considered her passion and knowledge of physical activity when choosing a career path, ultimately leading to Massage Therapy, graduating from Foothills College of Massage Therapy in 2006. Since completing her 2200hour program, she has been working alongside Chiropractors and other Massage Therapists, contributing to the development of a new technique; Motion Specific Release (MSR). Miki is excited to be back at Provital and back to a collaborative care clinic, where she worked prior to having her two sons. We are thrilled to welcome Miki back! Alesha was born and raised in the small town of Golden, BC. Prior to her career in Massage Therapy, she was involved in various fields within the medical and fitness industry for the better half of a decade. Outside of Alesha’s 3000-hour training, she has a diploma in Sports Nutrition and is a Certified Personal Trainer. Book in with Alesha to find out just how her certification in Graston Technique, Cupping and Trigger Point can help with your pain and mobility issues. Alesha’s life has been devoted to maintaining a healthy lifestyle for herself, friends and family. Outside of spending quality time with her family she enjoys spending her days in the gym, hiking, camping and riding her motorcycle. Andreas is a Registered Massage Therapist who received his training from the Okanagan Valley College of Massage Therapy in Vernon, BC. 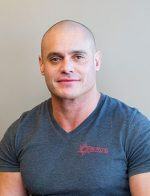 He most often employs a Myofascial approach for prevention and treatment of injury, to aid clients in the recovery process, helping them get back to the things they love. Andreas is still fairly new to Calgary, and is keen to use his knowledge and acquired skills to help his clients reach their goals. Whether you hope to walk around the block without pain or finish an Ironman, Andreas will put his best effort into helping your body heal, recovery and relax, along the way. 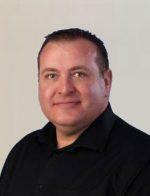 Outside of Massage Therapy, Andreas enjoys recreational running, hiking, soccer and table tennis. He also likes to play board games and takes an interest in Ancient History. Graduating Massage Therapy school with 2200 hours, Marie-Eve has developed her skill set and various techniques over the years. Initially attracted to massage therapy to provide pain relief and relaxation to clients, she quickly realized that a career in this field brought much more than that. Helping patients reach short-term, and long-term goals relating to their health, eventually leading to a better quality of life, is why Marie-Eve is passionate about what she does. When she is not working, Marie-Eve can typically be found outdoors, travelling, or learning something new. As much as she loves giving massages, she also enjoys receiving them; in order to maintain proper care of her active body. Karen was born and raised here in Calgary. She moved to Victoria, B.C where she completed two undergraduate degrees in Psychology and Child and Youth Studies at the University of Victoria. 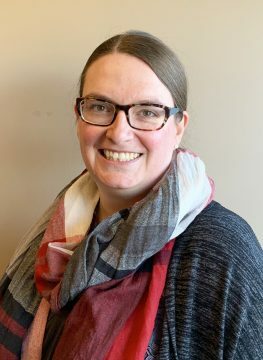 Her connections to family and friends brought her back to the prairies, where she completed her Masters in the Counselling Psychology Program at the University of Calgary. 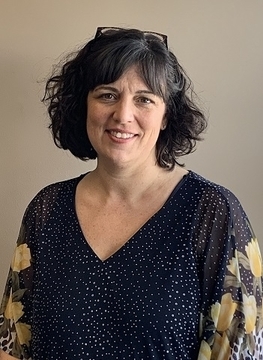 Since graduating, she has worked in a variety of community agencies, providing services to families, children, adolescents, individuals, couples and groups. In 2009, Karen became fully registered as a Psychologist with the College of Alberta Psychologists. In her personal life, Karen enjoys staying active through skiing, camping and hiking. She loves music, watching old movies and weekly Italian dinners with her in-laws. She finds meaning in her relationships to her husband and two daughters, as well as family and friends. Karen is enthusiastic about her work with clients and the multidisciplinary and collaborative model offered at Provital. 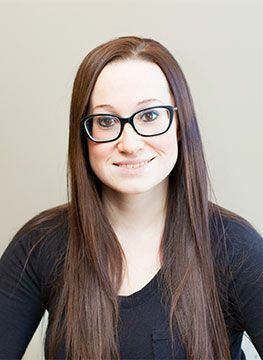 Courtney completed her undergraduate degree in psychology at the University of Calgary, graduate school at the University of Lethbridge and went on to register with the College of Alberta Psychologist. Courtney became fully registered in February of 2009 and since then has worked in multiple settings such as: non-profit, University, EFAP programs and for AHS in their mental health clinics. 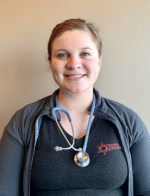 Courtney has been with Provital Health and Wellness since November of 2011 and has embraced the preventative, multi-disciplinary model of care, as they align with her values regarding patient care. Courtney works mainly in couple and individual modalities with adolescent to geriatric age range, and continues to participate in professional development each year. Courtney works with each client to fit the approach that best suits their needs. Courtney values an open and flexible approach with each of her clients and works collaboratively with each individual to achieve what will be most successful for their counselling process. Christine holds a Master’s degree in Psychology from Université de Sherbrooke (Quebec, 2003). She has been practicing in Alberta since 2006. She has worked for various community agencies, primarily with adults. In therapy, Christine helps clients make sense of their experience, develop new and flexible ways of responding to difficulties, learn new skills and use personal strengths effectively. 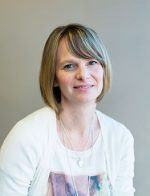 Christine is English/French bilingual and offers client services in French as required. She has been happily working with Provital clients since 2011. 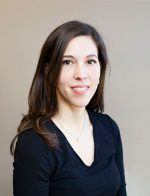 Born and raised in Calgary, Joanna studied Biological Sciences at the University of Calgary and pursued a graduate degree in the United States. Afterwards, she pursued a clinical residency in eating disorders and became registered as a psychologist in Alberta. Since then, running a business and working in multiple settings such as primary care, EFAP programs, and specialized grief and chronic pain programs allowed her additional opportunities to live out her passion and pursuit of excellence in providing collaborative and multidisciplinary care. 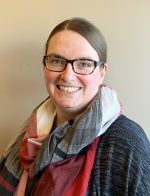 She also values her role in serving as an Ethics Examiner for the College of Alberta Psychologists and teaches and supervises undergraduate and graduate counselling students. In her personal life she enjoys spending time with family and friends and playing squash on a local interclub league. In her free time, you can find her walking in the outdoors, traveling, sampling the diverse cuisines of the city or curled up with a good book. 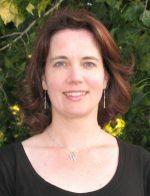 Stacey received a Bachelor of Arts in Psychology from the University of Lethbridge and a Master of Arts in Counselling Psychology from City University of Seattle. She has been working in the field of addiction and mental health for the last 15 years. She became fully registered as a psychologist in 2013. She has worked in field in a variety of settings from nonprofit to private practice in programs ranging from Housing First initiatives to a Dialectical Behaviour Therapy program. She has experience working with individuals, couples, families, and groups, from children to geriatric age. including advanced training in EMDR-Sand Tray protocol for children and adolescents. 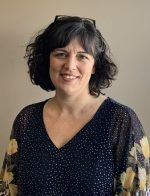 Kassandra Heap is a Registered Psychologist with the College of Alberta Psychologists and a Canadian Certified Counsellor with the Canadian Counselling and Psychotherapy Association. Kassandra completed her Bachelor of Arts degree (honours) in Psychology at the University of Victoria and her Masters in Counselling Psychology from Athabasca University. Kassandra has worked as a School Counsellor with adolescents and young adults, and as a Clinical Counsellor at an EFAP agency where she worked with individuals, couples and families. Kassandra also currently works part-time at a private practice clinic where she specializes in couple therapy. Kassandra is passionate in helping couples, and individuals, go beyond surviving and move towards finding meaning. She uses an eclectic, mindfulness and strengths-based, approach with an emphasis on life enrichment, maximizing potential, and values-based living. Ultimately, her focus in session is to be present with her clients and to provide a safe, non-judgemental, space. Your work with Kassandra will involve personal exploration, goal setting as well as learning new skills. Born in Nairobi Kenya, and growing up in London, England, Rakhi has roots all over the world. She graduated in Business and Finance in 1993 in the UK, which allowed her to pursue a career in Business Marketing in the entertainment industry, before moving to Canada in 1996 with her husband. After arriving in Calgary, she worked for a finance company for 3 years and then left to start a family. Rakhi is a loving mother to three beautiful children. While raising her three children she impressively continued to work part-time as an accounting administrator for various companies and organisations, as well as manage her husband’s corporation since 1997. Rakhi can be described as a highly-organised and creative individual, with a diverse skill-set. She is passionate about healthcare and helping patients with theirs and Provital has enabled her to do so. Melanie Quinlan was born in rural Saskatchewan but was raised in Calgary, AB. 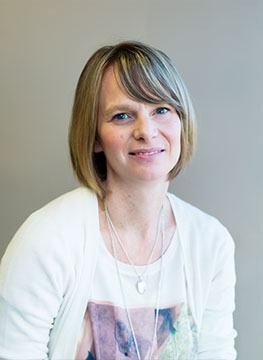 Melanie comes to us with an extensive background in administration which spans over fifteen years. During those fifteen years, Melanie has had the opportunity to work in a variety of industries that required her to adapt quickly to not only the field but the various people she would encounter. Melanie’s strong people skills enable her, in her role as Patient Care Coordinator, to make every patient welcome to our facility and part of our medical family. Melanie is a proud mother of three. She enjoys entertaining, reading, and gardening. However, her true passion is spending time with her family and friends to build everlasting memories. Melanie thoroughly enjoys her role here at Provital and receives great satisfaction knowing she is a part of a collaborative team. Born and raised in Edmonton, AB. Chantel always showed her incredible love for people through her friends and family. Chantel spent most of her school years competing in dance, starting with ballet when she was only 4 years old. While succeeding in her passion of dance, winning medals and trophies, Chantel managed to also stay focused on her academics. While continuing her education, Chantel showed her ambition and desire to enter the work force by starting her employment path at the early age of 15. Extremely people oriented, Chantel’s career aspirations always surrounded Customer Service, Sales, and Administration. Chantel’s organized demeanor allows her to explore her determination and efficiency to provide the best healthcare possible to Provital’s patients. When not behind the Provital desk Chantel enjoys outdoor activities, working out, dancing, yoga and reading. Nicole was born and raised in Fort Erie, Ontario. She moved to Calgary in 2009, where she completed her Medical Office Assistant program at Robertson College in 2014. She has since gained experience, as a MOA, with clinical and clerical in both public and collaborative medical offices. The medical field is her career of choice to pursue as it provides her the opportunity to nurture her desire to help others, while making a positive impact every single day. As a result of this, she ensures all patients receive the highest level of care. Nicole’s sympathetic and kind nature allows for a positive initial point of contact between Provital’s patients and the collaborative care they receive. Nicole loves to travel, with having visited most of Canada, USA, Mexico and the Caribbean Islands. In her down time, she enjoys reading, exercising and hiking with her dog, Maddie. Born and raised in Calgary, Jaime has devoted much of her life to academics and athletics. Beginning her sporting career at the early age of 4, she focused primarily on Soccer and Basketball as activities of choice. Currently enrolled at Mount Royal University in a Bachelor of Health Science and Physical Education, Jaime hopes to continue her post-secondary career in Medicine. Finding herself on the President’s Honour Roll at Mount Royal has pushed Jaime to continue pursuing a career path in either physical therapy or dermatology. Working in the past as a nanny, receptionist and server, among various other positions, her ambition for success stems from the early age of 14. Outside of work and education, Jaime enjoys playing on a Women’s Soccer team here in Calgary as well as volunteering with organizations for disabled children. At home, she devotes most of her time to her studies, her cats: Mango and Kahlua, and friends and family. 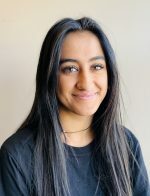 Simran (Simmi) was born and raised in Calgary and recently graduated from Rundle College in 2018. She is currently studying towards a Bachelor’s Degree in Psychology at the University of Calgary. Her part-time job at Provital has developed her sense of responsibility towards patient confidentiality and she is a natural communicator which helps her to understand and reassure everyone she speaks to. 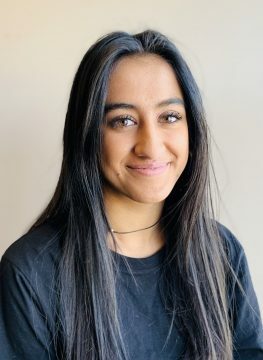 Simmi is particularly interested in the areas where psychology and health connect, whether that’s understanding the psychological and emotional aspects of illness or looking at the evidence of how social isolation and depression are connected. Ultimately, she is fascinated by the reasons behind different behaviours. In her spare time, Simmi enjoys playing the guitar, drawing and sketching. She is grateful to have a close-knit family and enjoys spending quality time with them. A born and raised Calgarian, Lindsay has taken opportunities to live in Edmonton as well as Australia, but has made her way back to her hometown. Taking a Bachelors of Science, majoring in Biology, Lindsay has often found herself being drawn to the health or medical field. She has worked in positions at Veterinarian clinics, pharmacies, as well as Medical clinics. Lindsay also pursued and completed a Diploma of Design and Photography at MacEwan University. Outside of the office, Lindsay is often spending time with her family or out walking her dog. She enjoys photography and hikes in the mountains amongst other hobbies. Kennedy was born and raised here in Calgary and grew up in an active household. Playing sports from a young age, particularly Junior A hockey, taught her valuable communication and behavioral skills. Kennedy attended Mount Royal University, graduating with a Massage Therapy Diploma in 2017. Her passion for practicing healthy lifestyle choices, along with her love of helping others, has brought her to the medical field. Outside of the clinic, Kennedy can be found at the gym, doing yoga, or in the mountains. Along with hockey, she enjoys snowboarding, hiking and dancing during her spare time.